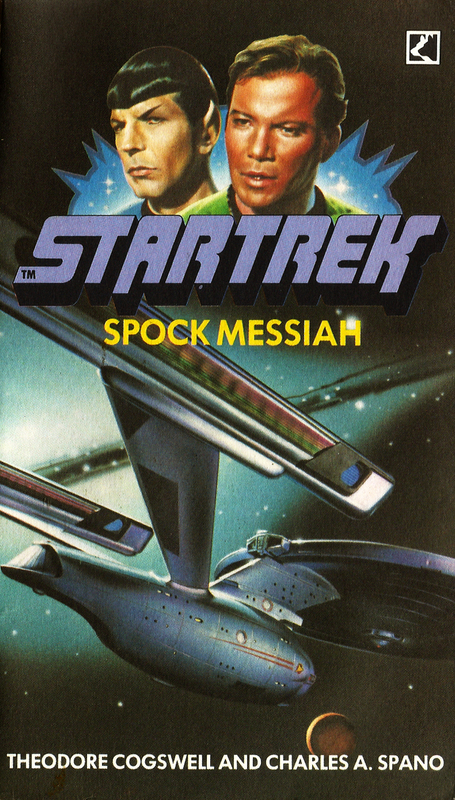 Paperback covers #7: Corgi Books’ Star Trek novels | 'TAIN'T THE MEAT… IT'S THE HUMANITY! 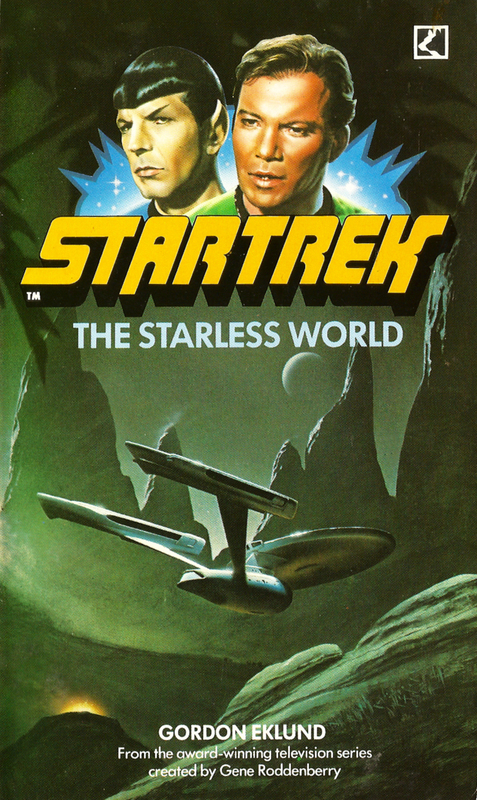 In the mid-1980s Corgi Books reissued all 12 volumes of James Blish’s best-selling Star Trek paperback series, containing stories adapted from the scripts of the popular science-fiction TV show. These books featured newly commissioned cover artwork from fantasy artist Chris Achilleos, and I’ve looked at them in more detail here. Alongside those books Corgi also reissued a handful of original novels based on the show – these also featured newly commissioned covers, not by Achilleos but by artist Chris Moore. 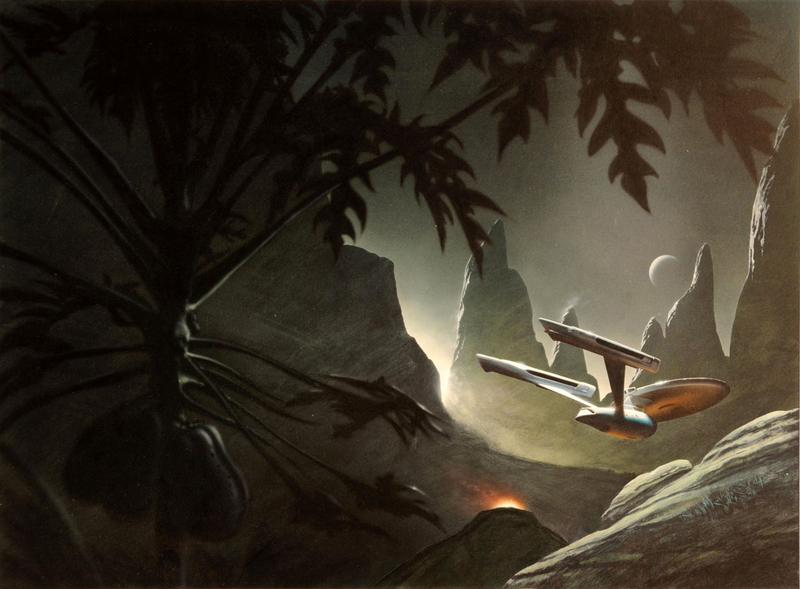 Unlike Achilleos’ covers, which depicted scenes taken directly from the show, Moore instead chose to feature the Enterprise as the sole cover star, a decision I applaud. Apart from helping to emphasise the science-fiction element of the novels he also made the Enterprise look graceful and downright majestic. His covers also have the added benefit of contrasting nicely with Achilleos’ more character-led covers. 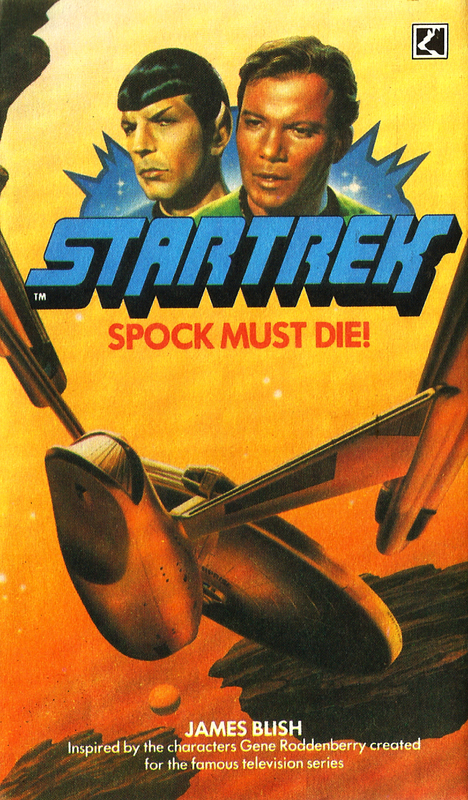 Moore’s artwork graced the covers to six novels: Spock Must Die! 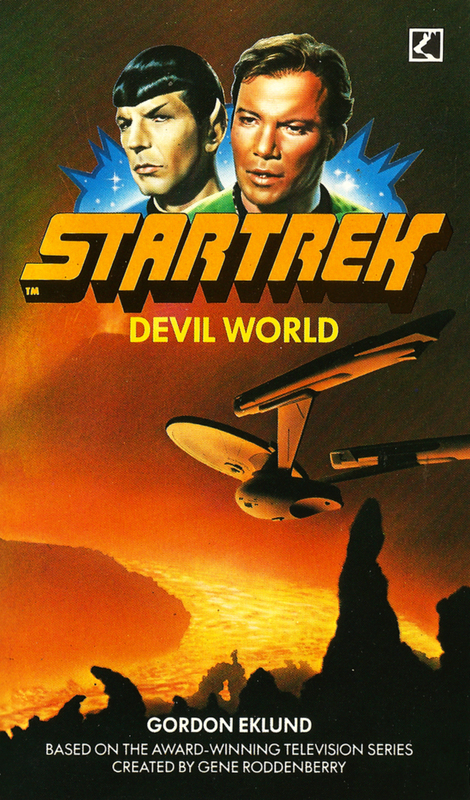 by James Blish; Devil World and The Starless World by Gordon Eklund; Vulcan! 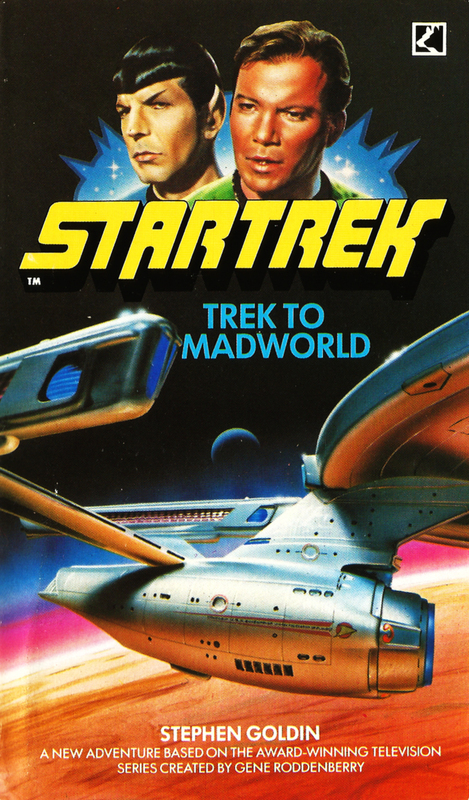 by Kathleen Sky; Trek to Madworld by Stephen Goldin and Spock Messiah by Theodore Cogswell and Charles A. Spano. His artwork also wrapped around onto the back cover, a nice touch that helps show off Moore’s atmospheric paintings. 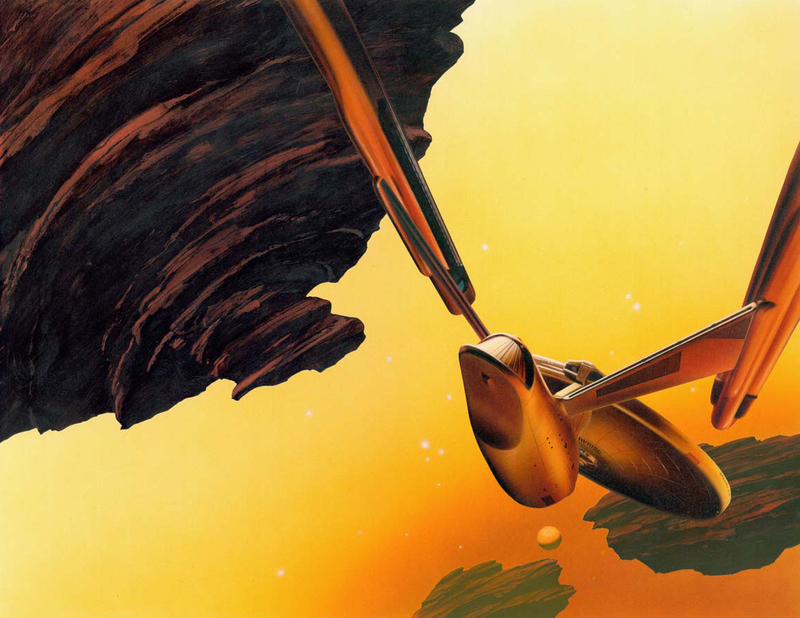 A versatile artist whose early career saw him painting album covers for Fleetwood Mac and Rod Stewart, Moore has since gone on to carve out quite a niche for himself as a science-fiction cover artist, including painting the majority of Gollancz’s SF Masterworks series. 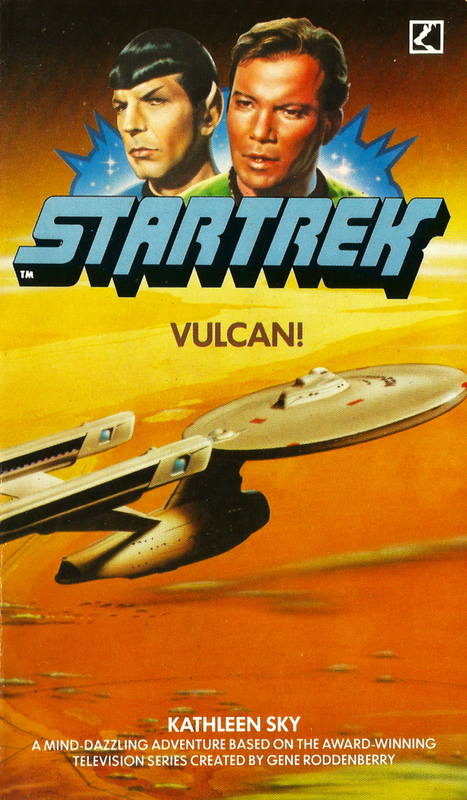 However, even with Moore’s recent accomplishments, I’m still a great fan of these old Star Trek covers which, despite being almost 25 years old, haven’t lost any of their impact.